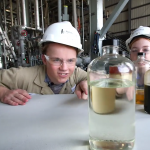 In the first video and website section on Waste Oils Into Biodiesel you learned about the creation of biodiesel using a variety of feedstocks, including different waste oils that can be recycled. 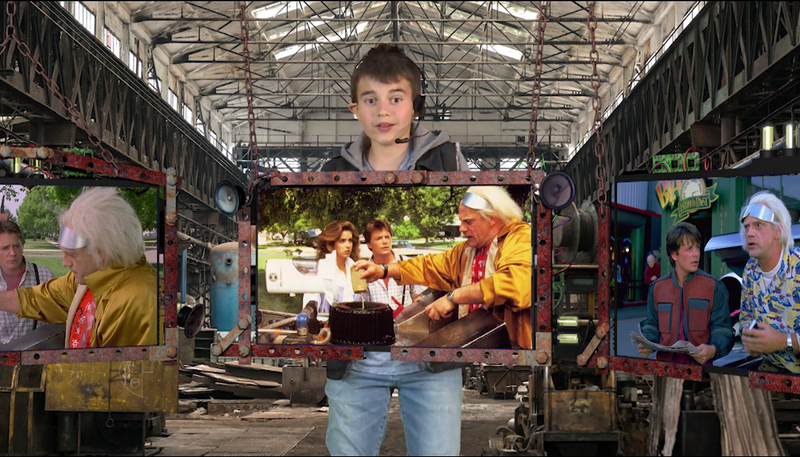 So, yes, the fictional scenes in the movie, Back To The Future 2 are in part reality today. 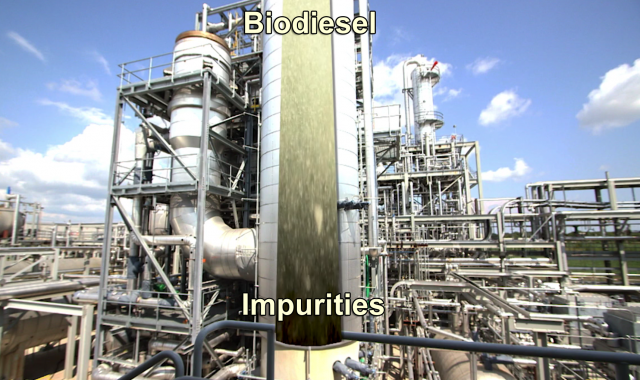 Plus, the advanced technology at biodiesel plants such as the Duonix Beatrice plant are charting a pathway into the future of bioenergy. As you’ll see in this video, this plant uses ENSEL™ technology, which is a patented catalytic process for refining feedstocks such as animal tallow, recycled cooking oil and distillers corn oil into high-quality biodiesel. 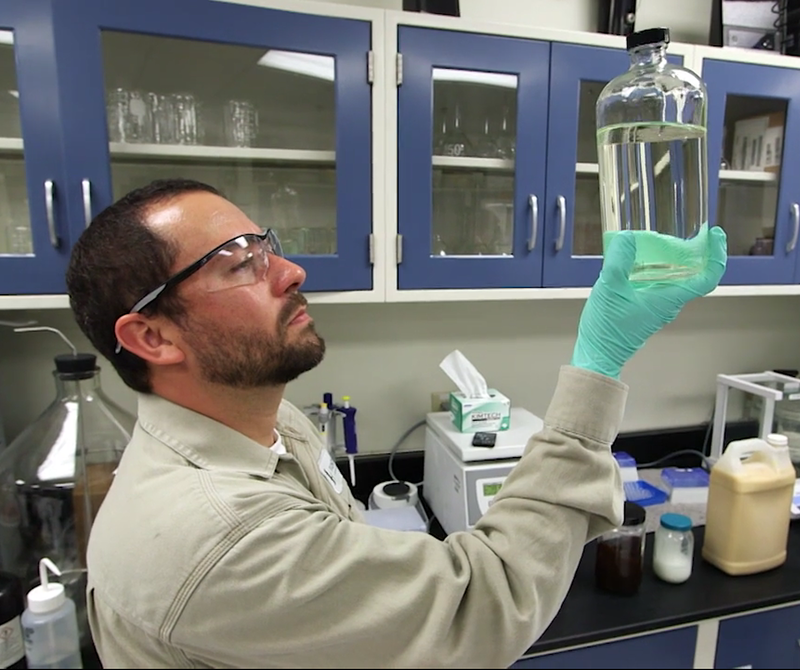 Where some plants require multiple processes to make biodiesel, this place uses one sophisticated process. 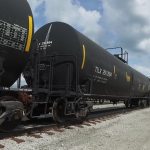 And once it’s fully operational, the plant will produce approximately 50 million gallons of biodiesel annually. The distillers corn oil arrives by tanker truck and the biodiesel goes out by tanker rail cars, a lot to California, where it is in high demand because of aggressive clean air policies. 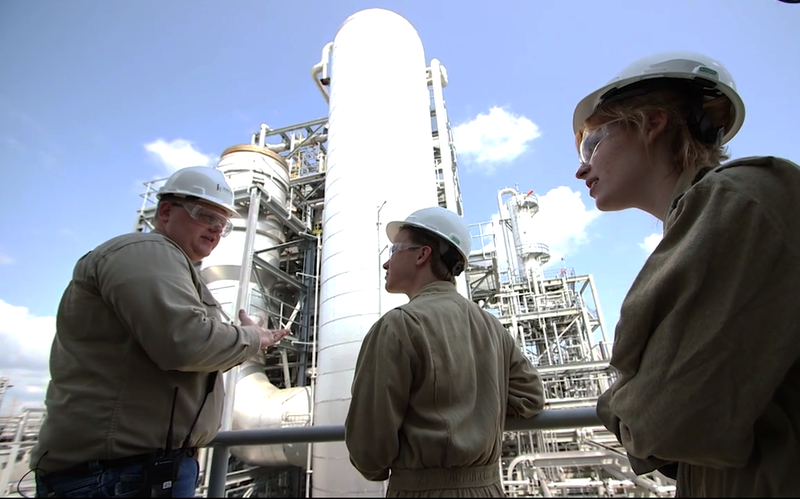 Once inside the facility, the feedstocks are run through a innovative catalyst that combines “esterification” with “transesterification” into a one-step process that’s more efficient. It also allows the plant to be feedstock flexible because distillers corn oil, used cooking oil and animal tallow have high free fatty acids which are difficult to breakdown using traditional biodiesel refining methods. 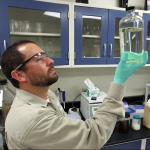 During the refining process, they also produce a valued co-product that almost everyone uses… glycerin. Also known as glycerol, this sugary oil separates out and is used in a variety of products from toothpaste, to soaps, to cosmetics. Glycerol is a trihydroxy sugar alcohol that is an intermediate in carbohydrate and lipid metabolism. It is used as a solvent, emollient, pharmaceutical agent, and sweetening agent. Saweet. huh? 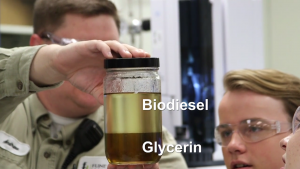 To really decode the science behind this biodiesel and glycerin production, have your teacher download the discussion guide and lesson activities below for hours of peer-driven learning in your classroom with your peeps. 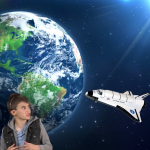 You can also learn lots more by reading the advanced information in the Learn More section below by clicking on the icon. 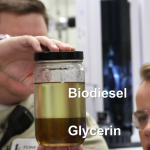 As you can see in this sample jar on the left, glycerin and biodiesel separate out during the process. 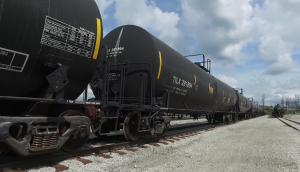 In the final step of the process, they run the product through a vacuum distillation unit that separates the material that wasn’t converted into biodiesel. 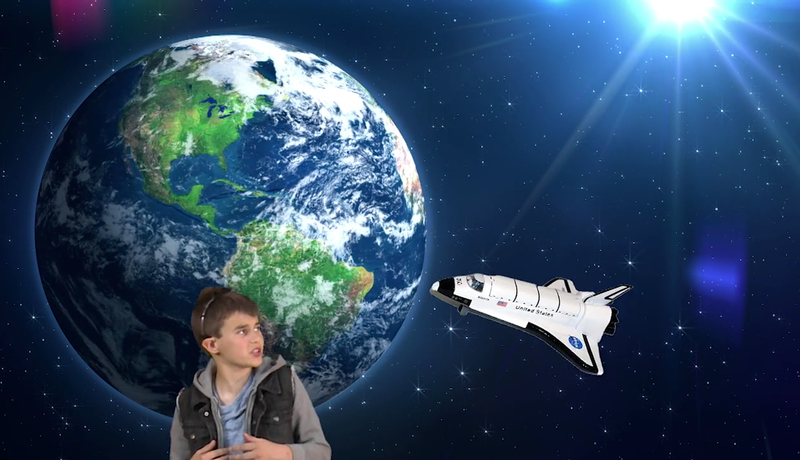 Inside the unit, the pressure has been reduced to almost what you would feel in outer space. Besides biodiesel, glycerin is the main co-product. 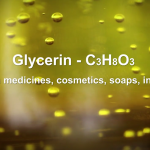 Glycerin(or glycerine, glycerol, with the molecular formula C3H8O3) is a neutral, sweet-tasting, colorless, thick liquid which freezes to a gummy paste and which has a high boiling point. 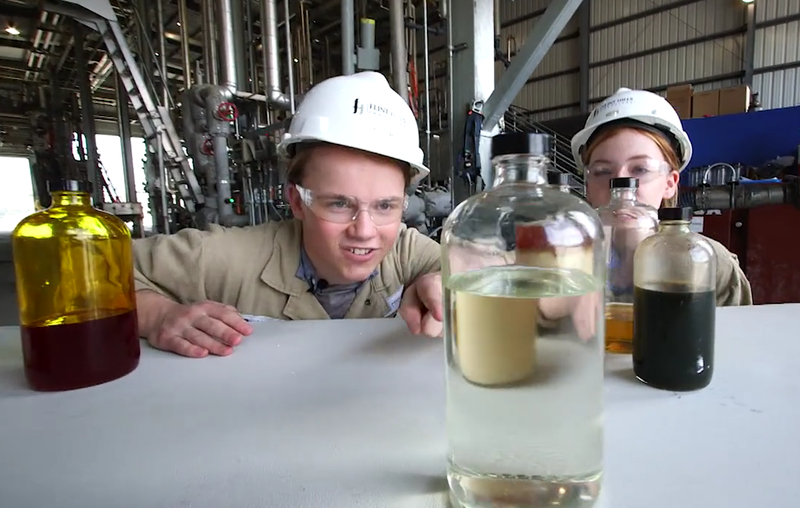 It can be dissolved into water or alcohol, but not oils. 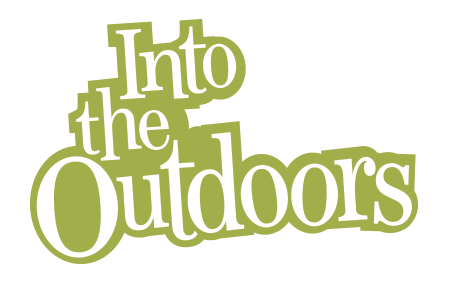 On the other hand, many things will dissolve into glycerol easier than they do into water or alcohol. So it is a good solvent. 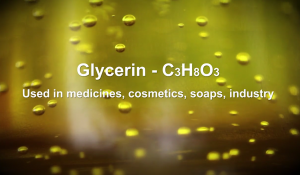 Glycerine has lots of uses besides being used to make nitroglycerin. Some uses include: conserving preserved fruit, as a base for lotions, to prevent freezing in hydraulic jacks, to lubricate molds, in some printing inks, in cake and candy making, and (because it has an antiseptic quality) sometimes to preserve scientific specimens in jars in your high school biology lab. • Glycerin is a simple polyol (an alcohol with multiple hydroxyl groups) that is found in the atomic structure of all triglycerides. It is known as glycerol or glycerin. On its own, glycerin is a colorless, odorless liquid with high viscosity. • Glycerol, sometimes referred to as glycerin, is a sugar alcohol widely used in a variety of personal care products, including toothpaste, hair conditioner, cosmetics, and moisturizers. • The Diesel engine was invented in 1897 and originally ran on peanut oil.